Is You're Home Secure When You're Gone? Is Your Home Secure When You’re Gone? Years ago, home security systems seemed pretty smart. Nowadays, these systems are operating through actual ‘smart’ devices, including smartphones. Homeowners are finding they can do anything they want to their home security systems by using their smartphones to tap into their home security network wherever they might be. If you every worry about your home being safe & secure when you’re away on vacation this article might interest you. Will A Thief Target My Home When I’m Gone? 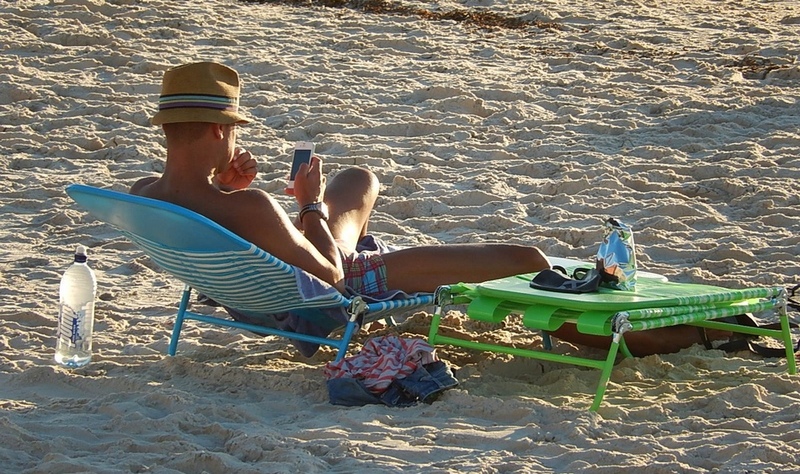 Not everyone realizes when you’re gone on vacation that’s the perfect time for a thief. A true burglar doesn’t want to get interrupted and the opportunity thief looks for signs you’re on vacation so be sure you’re using these tips on home security. Did you know that a burglary in the United States takes place about every 15 seconds? And surprisingly, 30 percent of intruders are able to make their way into a home with no forcible entry. There’s no denying that a security system can greatly protect your home, and most importantly, it can enhance the safety of your family. Is a Smart Device the Path to Better Home Security? Here’s a close look at how smartphones are jumping on the home security bandwagon, proving yet again why these smartphone gadgets are more accessible than toilets. These benefits are a few reasons that engaging your smart device with a home security system can be the perfect mix for a secure home. With a home security system, you will have the option to monitor the feed yourself, have a security company monitor it for you, or, the both of you can monitor it. Security companies won’t likely look at the feed unless the alarm is triggered; however, high-end companies do offer 24/7 live monitoring if you need it. Security companies will have an office where they record all feeds; however, you can watch the video on your smartphone in real time, too. This means no matter where you are, you can log into your security system application and see what’s happening at your house. Have you ever needed to run to the office really quick but you didn’t want the dog to be left home alone? If so, your home security system can be used on your smartphone to monitor your animal’s activity the entire time you’re gone. If you notice your furry friend starts to make a mess, you can simply turn the car around and head back home. Your smartphone can also be used with your home security system as a video baby monitor. You’ll need to have a camera installed in the baby’s room, pointing toward the crib. When you log into your home security application, you can opt to view the camera in the baby’s room. Whether you’re in the basement folding clothes or outside working in the garden, your smartphone will keep you right beside your baby the whole time. Do you often find that you forget to set the alarm in the morning? If you do, you should know that you aren’t alone. It’s surprising how many people have security systems but don’t use them wisely. With a smartphone you can use it to arm and disarm your security system at any time of day or night, no matter where you are. Having to work late again? No problem. Use your smartphone to turn on the lights and turn down the air conditioning right before your arrive home. 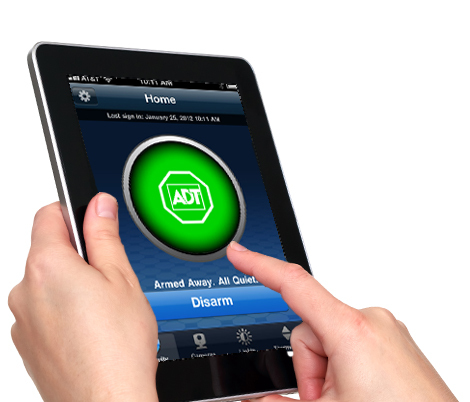 With this ADT system, you’re in complete control of your home from wherever you might be on the planet, or in the neighborhood. If you’re too buys to constantly watch what’s happening just set up some alerts to let you know only what you want. Do you ever worry that something might happen at home while you’re away? This ADT smart solution sends custom notifications about system activity by email or text message to your smartphone, tablet and/or computer. This can include letting you know when the kids get home, when your mother-in-law stops over (if you allow that), or what time your spouse gets home so you can request a nice dinner!